Gone are the days when one’s only choice for cooking oil was a bottle of old-fashioned vegetable oil. We now find ourselves in the days of nearly unlimited options for oils and fats of all kinds, both good and bad. So with so many oils on the market, how does one know which variety to use when? Which oils are ideal for baking? Which can be used for fried foods? To answer all of your questions related to cooking and baking with fats and oils we’ve prepared a helpful guide to all of the flavors of oils you’ll find lining the shelves of Midtown Market. Origins: Extracted from sweet almonds. (Sweet almond oil can be used for internal use. Bitter almond oils should not be used for cooking, as they are intended for external use only. Refined almond oil is best for cooking due to its high smoke point. Adds a nutty, toasted flavor to baked goods such as cookies, cakes and muffins. 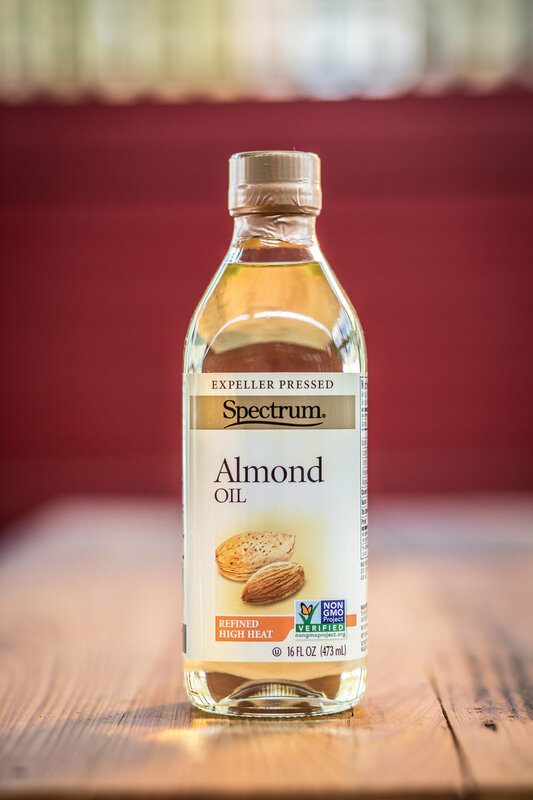 Just replace ¼ cup of vegetable oil with a ½ cup of almond oil when baking. Canola Oil is a safe bet for both cooking and baking. Good for cooking and baking. With a high smoke point, canola oil can be used in frying and sautéing. Coconut Oil is delicious, but be careful to use it in moderation if you're trying to lose weight. Great alternative to butter. This is helpful in a vegan diet. Things to Consider: Coconut Oil is high in saturated fat, so use in moderation. While good for baking, it may not be ideal for frying, as it has a low to medium smoke point. Coconut Oil's sweet, nutty flavor makes it a great substitute to use in baked goods. High in polyunsaturated fats, such as Omega 6 fatty acids. Grapeseed Oil's neutral flavor makes it a great oil to use in cooking a variety of dishes. Olive Oil has proven to a great all-around and healthy oil for daily cooking. Flavor: Robust and sometimes fruity. Some variations may have a smooth, buttery taste. Virgin, or unrefined olive oil, is a healthy alternative to butter and margarine. Extra virgin olive oil is the highest quality olive oil produced. Has been shown to reduce the risk of heart disease and stroke, due the high content of monounsaturated fats. Delicious flavor and light texture makes it perfect for use in dipping sauces, spreads, salad dressings and marinades and stir frying veggies. Things to Consider: Olive Oil can be used in some baked dishes, but be sure to find an oil that best suits your taste buds, as some olive oils can have a more pungeant, bitter taste that may not be ideal for baking. Looking for a delicious addition to your next stir-fry? Try this! Most peanut oil that has been refined in the United States does not contain the allergic producing proteins that many with peanut allergies seek to avoid. Remember to properly store your pecan oil to preserve its flavor and to extend its life. Lower in saturated fats than oils such as olive oil, peanut oil and corn oil. Things to Consider: Pecan Oil will quickly become rancid if not properly stored. See label for instructions. Use Safflower Oil to enhance the flavors of your salads and dressings. Sesame Oil can be used to sear meat on the grill or on the stovetop. Flavor: Modern varieties are generally tasteless and odor free. Those strong flavors of the past are behind us. Things to Consider: Not all varieties are ideal for frying. However, there are some, which possess high levels of monounsaturated fats. These are generally better for frying foods. Flavor: In an unrefined form, sunflower oil has a distinct flavor. However, those that are refined tend to be more neutral. Things to Consider: When frying, use a refined sunflower oil that is high in monounsaturated fats. These varieties are available on the market today. Sunflower Oil works great in salad dressings. Try drizzling Walnut Oil over a pasta dish or salad to enhance the flavor. Things to Consider: Walnut Oil’s low smoke point makes it a poor choice for frying and cooking. It must be stored in the refrigerator to avoid turning rancid. Oils provide our bodies with many of the nutrients they need to be healthy and strong, including Vitamin E, linolenic acid, an omega-3 fatty acid, and linoleic acid, an omega-6 fatty acid. While all of these things are ultimately good for us, oils must be consumed in moderation in order to maintain a healthy, balanced diet. For more information on fats and oils, visit the University of Kentucky Extension Service. Find these varieties of organic and all-natural oils and more at Midtown Market.